With more than 42 million annual visitors, Vegas regularly reinvents itself much better than any destination around the world. What exactly does 2016 have to offer? Experts are weighing in on hospitality, entertainment, food and beverage and health spa trends across the legendary Vegas Strip. Whether it?s new entertainment venues such as the 20,000-seat T-Mobile Arena and 5,000-seat Monte Carlo theater; tech-savvy choices like cell phone room keys and full-body LED health spa treatment beds; or the way the destination is keeping millennials engaged with increased personalized services and the development of skill-based gaming options, forecasts are in and the predictions for 2016 are as enticing as you would expect from among the world?s most widely used travel locations. Take a look into the future of Las Vegas. Gone are the days of molecular gastronomy and chemically altered food. In 2016, it?s all about a refreshed implementation of classical food and service. ?Restaurants are beginning to resurrect the ?classic? dining experience that has been seen in the past,? ARIA Executive Chef Anthony Amoroso said. Celebrity Chef Ron Moonen indicates that plating will end up a pivotal focus for restaurants in 2016. As social media continuously becomes a large part of the food industry, visitors will seek dishes which are aesthetically appealing. Together with plating, visitors are avoiding the ?fine? 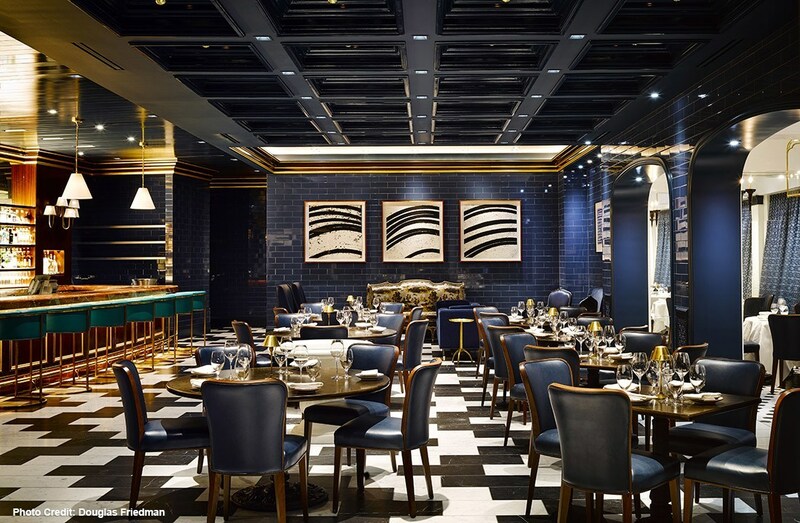 dining experience and moving toward comfortable design, as observed in restaurants such as Alain Ducasse?s Rivea at Delano Las Vegas. Instead of concentrating on pass? gimmicks and all sorts of features and out-of-the-box techniques, chefs and restaurants are looking to raise the dining experience by learning the main aspects of service and cuisine. For instance, the lately opened up Italian-American restaurant Carbone at ARIA provides a table-side cut of veal parmesan and presentation of the banana flamb?, while BARDOT Brasserie at ARIA features a classic roast chicken. Joshua Smith, Executive Chef at BARDOT Brasserie, agrees that restaurants are returning to the basics. ?Guests just want honest food ? no tasting menus, no micro herbs, no ?deconstructed? ? just an authentic dining experience.? People are more in tune with what they are eating today than ever before, and as a result they are making more meaningful food choices. According to Amoroso, a result of this trend will be vegetables taking center plate in place of traditional main meat courses. Chef Moonen agrees, saying, ?Not only are we seeing trends in how chefs present their food, but we are seeing trends in spices, types of food, and what is being put in the food people are eating. People are looking to go back to the basics with cleaner and healthier food. Artificial flavoring will be the enemy in 2016. Guests will start to see bold flavors and spices used in African and Indian cuisines, and many other diverse cultures. Along with these bold flavors, restaurants will begin to offer guests more alternatives, vegetarian options, and even more gluten free options. 2016 will be a year of trying new things along with dining at restaurants with cleaner menus.? In line with this trend, ARIA?s BARDOT Brasserie offers a Parisian gnocchi with black trumpet mushrooms and celery root; Jean Georges Steakhouse features a cauliflower steak; Rivea serves the roasted panisse and confit sweet bell peppers; and Lago by Julian Serrano at Bellagio has an extensive list of veggie-based shareable plates for vegetarian and meat-eaters alike. ?It?s become increasingly important for chefs to cook cleaner, nutrient-dense food,? Amoroso said. Per Amoroso, in 2016 cauliflower, broccoli and chickpeas will be among the most popular selections, while kale, avocado, Greek yogurt and macadamia nuts will contribute to cleaner ingredient options. Chef Moonen also sees traditional side dishes such as mashed potatoes and bread being replaced with healthier veggie dishes. RM Seafood at Mandalay Bay will turn its natural vegetables into many of its side dishes. Based on the season, RM Seafood and Rx Boiler Room will use different vegetables in the fall and spring to provide guests with a variety of options throughout the year. As travelers become more and more health food conscious, many are requesting alternatives to the traditional beef burger. In response, chefs are vamping up the chicken sandwich options on their menus. ?In the next few years we will see a significant rise in popularity of the chicken sandwich in Las Vegas,? Amoroso predicts. 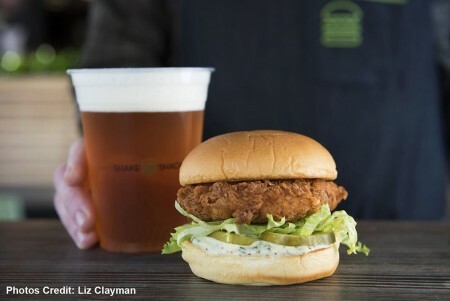 ?Restaurants know that this is becoming a menu item that is high in demand and will influence the burger-heavy culture that we currently see in the city.? Mandalay Bay?s Burger Bar offers the Marinated Chicken Breast sandwich, while FIVE50 Pizza Bar at ARIA features the Chicken Saltimbocca sandwich. In 2016, Amoroso expects the chicken sandwich to become a popular staple on in-room dining menus over the Strip. Even burger giant Shake Shack at New York-New York claimed the title Chicken Shack because of its chicken offering. According to Ricardo Murcia, Assistant Director of Beverage at Bellagio, Mezcal cocktails will have a strong presence on beverage menus this year. A distilled alcoholic beverage made from the maguey plant and native to Mexico, Mezcal has found its way into libations on The Strip, such as Lago by Julian Serrano?s Smoked Peach Margarita, made with El Silencia Joven Mezcal. Hecho en Vegas at MGM Grand presents a variety of Mezcal, including its Diablo Rojo cocktail. Hakkasan at MGM Grand?s Bird?s Eye Margarita offers Bird’s Eye chili-infused Alipus San Andres Mezcal. Under the supervision of Schoettler, ARIA has launched a collection of spirit carts featuring rare and high-end bottles for guests? perusal. The cognac cart at BARDOT Brasserie boasts a Maison Surrene 1946, a Hardy Noces de Perle, Louis XIII and more. The rum selection on Carbone?s cart spotlights rare vintages from around the world, including the Black Tot British Royal Naval Rum; or Jamaica?s sought-after Appleton 50-Year Rum. Daring drinkers can make a selection from Sage at ARIA?s Absinthe cart ? such as Pernod, Obsello and St. Georges Absinthe ? complete with the traditional flaming sugar cube. According to Shannon McCallum, ARIA?s Executive Director of Hotel Operations, mobile integration within the hospitality industry will explode in 2016. Cutting-edge, consumer-based technologies permit development of more mobile-centric services such as smart phone room keyss, in-room ordering, mobile-friendly website platforms and the opportunity to shop or pay for attractions from a mobile application. For instance, ARIA has upgraded its welcome experience with the StayNTouch mobility platform, supplying visitors a number of check-in and check-out options via their smart phone. Furthermore, the hotel recently joined with Crave International for the biggest-ever installation of exclusive in-room hotel tablets that provide a hyper-customized guest experience with new amenities like digital in-room dining orders, one-touch health spa service requests as well as an endless stream of news in multiple languages. Also, all MGM Resorts International properties recently revealed new website designs which allow visitors to reserve everything from lodging and show tickets to dinner bookings across all MGM Resorts properties across the Strip via one master itinerary function. ?The number of international travelers to Las Vegas grows each year, and as a result hotels are always looking for more ways to make those guests comfortable,? said McCallum. At ARIA, all in-room messaging is translated to multiple languages for ease of understanding and complimentary International TV is provided to guests. In ARIA?s AAA Five Diamond Award-winning one-, two-, and three-bedroom Sky Suites, guests have access to Press Reader, an elite electronic newspaper service that provides access to 2,700 publications from around the world in hundreds of languages. To further appeal to Chinese travelers, ARIA?s Property Mixologist, Craig Schoettler, recently introduced Baijiu, China?s national spirit and the most consumed alcoholic beverage in the world, to the spirit lists and cocktail menus at ARIA, Bellagio and MGM Grand. The international draw extends beyond in-room amenities and food and beverage offerings. ?We know that our international guests love to shop,? Bellagio?s General Manager Olivia Brown said. ?Bellagio offers the best in retail therapy with longtime partners such as Hermes, Gucci and Prada along with new partners Guerlain and Valentino.? Traveling today is less about the destination and more about the unique experiences that happen while on vacation. ?Travelers are looking for educational experiences, a sense of exploration and discovery,? said Brown. With this trend, offerings such as going behind-the-scenes for a closer look at The Fountains of Bellagio or VIP/backstage passes to big ticket shows will take center stage. ?In 2016, we will further personalize the guest journey by creating meaningful content based on consumer insights rather than assumptions,? Brown continued. ?Through integrated customization and enhanced technology, we?ll be able to drive personalized service at every touch point from pre-arrival to arrival to departure.? This trend can been seen at MGM Grand?s SKYLOFTS, where a personal concierge asks upcoming guests a series of questions prior to arrival to ensure room, mini bar and travel preferences are met. Those choices are then documented and saved so when the guests return, everything is as if they never left. In addition, guests are looking for elevated amenities and customizable activities. In 2015, the exclusive year-round Sky Pool at ARIA opened to Sky Suites guests, offering complimentary chilled towels and smoothie shots during the summer, as well as a heated pool, warm towels and hot beverages during the winter. Las Vegas plans to continue to cater to the rising millennial demographic. With millennials? demand for connectivity, express services and social experiences, resorts are transforming their business models with outdoor social spaces. This includes the recently expanded Strip-facing facades at New York-New York and Monte Carlo, and the April 2016 opening of the Strip?s first park, a dining and entertainment district that will open in conjunction with the T-Mobile Arena. And it doesn?t stop there ? Bellagio recently worked with EDM mastermind DJ Tiesto and funk king Bruno Mars on new Fountain shows, adding to its repertoire which includes classics by the likes of Frank Sinatra and Andrea Bocelli. MGM Resorts’ Senior Vice President of Business Development Thomas Mikulichsees gaming following suit by bringing the experience to a younger demographic. With the introduction of skill-based slot games and in-casino apps, gaming will continue to expand from the traditional slot machines to include the convenience of mobile device options. As millenials have a tendency to travel in groups, gaming environments will also be social, with a focus on group competition and participation. 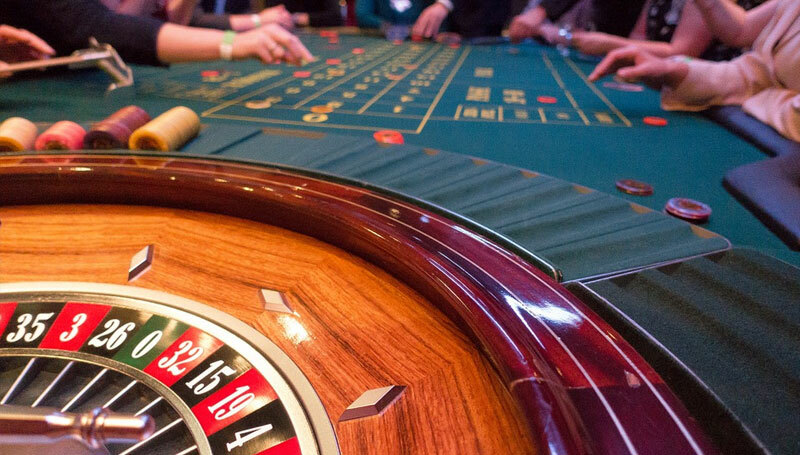 Anticipate seeing more casino games and tables contained in non-gaming institutions such as nightclubs, bars and restaurants. In 2015, MGM Resorts rolled out InteractivePro Tables at MGM Grand?s Whiskey Down and also the Mirage?s Sports Book, which permit visitors to look at live TV, play digital arcade and video games and browse the internet. Per Mikulich, MGM Resorts anticipates an ongoing evolution and integration of the Pro Tables and gaming options that concentrate on the millennial generation. Although an NHL team in Las Vegas has yet to be confirmed, discussions are progressing and the anticipation continues to grow. 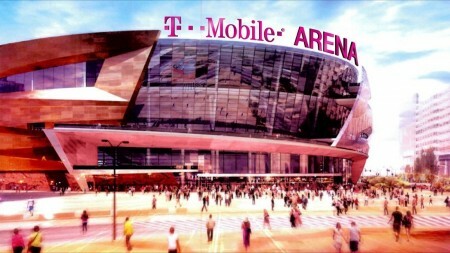 If a Las Vegas professional hockey team is approved, not only would it mean the first major professional sports team for Las Vegas, according to Mark Prows, Senior Vice President of the T-Mobile Arena, ?It would be a springboard for other entertainment and sports in the city.? More specifically, Prows says ?the NBA will be watching with intense interest.? It?s not just about sports. 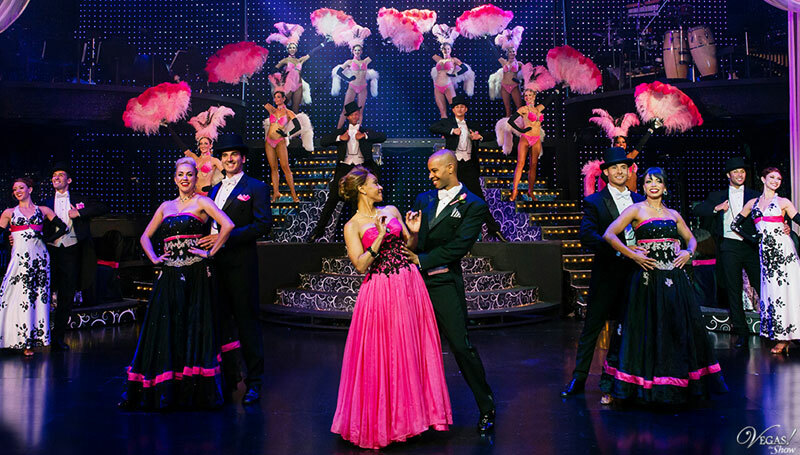 With the April 2016 opening of the T-Mobile Arena and the announcement of the new Monte Carlo theater, Las Vegas will host more stellar entertainment than ever. For the 20,000-seat arena, major touring acts such as George Strait (April 22-23, September 9-10, December 2-3), Janet Jackson (May 14), Garth Brooks (July 2-4) and the Dixie Chicks (July 16) already have been announced. And the 5,000-seat theater at Monte Carlo, opening at the end of 2016, is certain to bring even more exciting entertainment content to a city already renowned for its offerings. Technology-driven treatments continue to become more significant in the spa landscape. Look for LED and tech-savvy treatments in 2016 to focus more on skin protection and maintenance via cell therapy and machine-based techniques, targeting the younger generation. Jane Cox, Director of The Spa & Salon at ARIA, is excited about introducing an LED bed for full body treatments that will aid in anti-aging, toning, brightening and cell preservation and renewal. LED technology currently is utilized for repair and anti-aging treatments like ARIA?s Advanced Hydrafacial, which utilizes special equipment and LED-light therapy for vitamin massages and collagen masks. Spa Mandalay also integrates LED into its anti-aging treatments as well as micro-current technology to stimulate, lift and tone facial muscles for an immediate youthful appearance. Overall, ARIA will continue to incorporate LED light treatments and machines into facial services as well as expand its offerings for stem cell treatments and stronger serums. Expect to see an increase in wellness offerings that encompass the body, mind and spirit. This will be accomplished through physical touch, exercise, diet and meditation, with spa programs marrying treatment and relaxation into a total wellness experience. For instance, Cox encourages guests to use the Ganbanyoku heated stone beds to improve circulation, Shio Salt Room for improved upper respiratory health, and heated outdoor pool for water therapy before and after sessions to enhance the benefits of their treatments ? a unique alternative to typical steam rooms and saunas. According to Spa Bellagio?s Director of Operations Tammi Furce, wellness from within also will be a focal point of this trend with treatments heavy on cellular restoration and deep stretching, such as Spa Bellagio?s Watsu and AquaStretch therapies ? the only treatments of their kind on The Strip. Guests also can take advantage of Bellagio?s Next Level Wellness Sessions, which include personalized experiences tailored to their specific physical, health and wellness goals. The spa doesn?t just have to be about the individual experience. According to Cox, ARIA has noted a rise in group spa experiences such as birthday parties, bachelorettes and friend getaways. Cox also has seen spa treatments offered as part of corporate events, special events and at golf courses. Furce echoes the same sentiment as Spa Bellagio will look to introduce more group fitness classes with options for spa treatments afterward for recovery and relaxation. Taking the spa outside the traditional arena and supplanting it in a social setting will be prevalent in 2016 as well, with most hotels now offering poolside massages and treatments for both individuals and large groups.